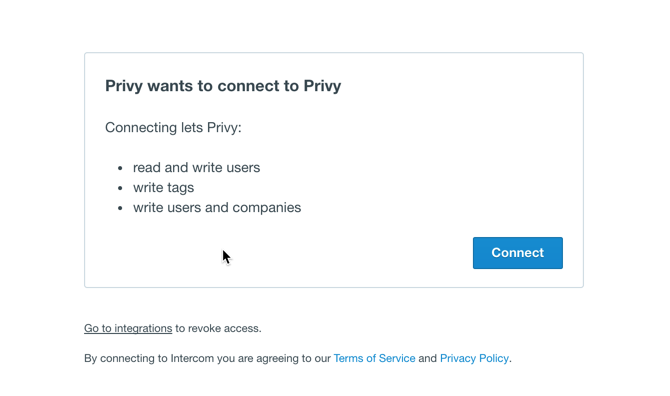 Privy can automatically sync your contacts over to your Intercom account. 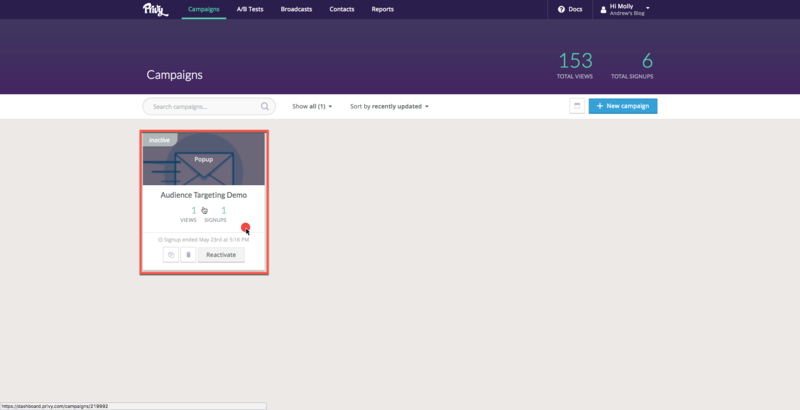 After you complete the following steps, anytime a contact of yours signs up for your Privy campaign, they will automatically be imported to your Intercom account. To begin: Click on the dropdown arrow on the upper right corner of your Privy account screen. Next, select the option labeled "Integrations". Choose the login option that fits your situation. Now navigate to the campaign’s Automation settings (all the way at the right), click the "+ New Rule” button and choose which account and list you want to sync new signups to. Congratulations, you've now created your Intercom sync!